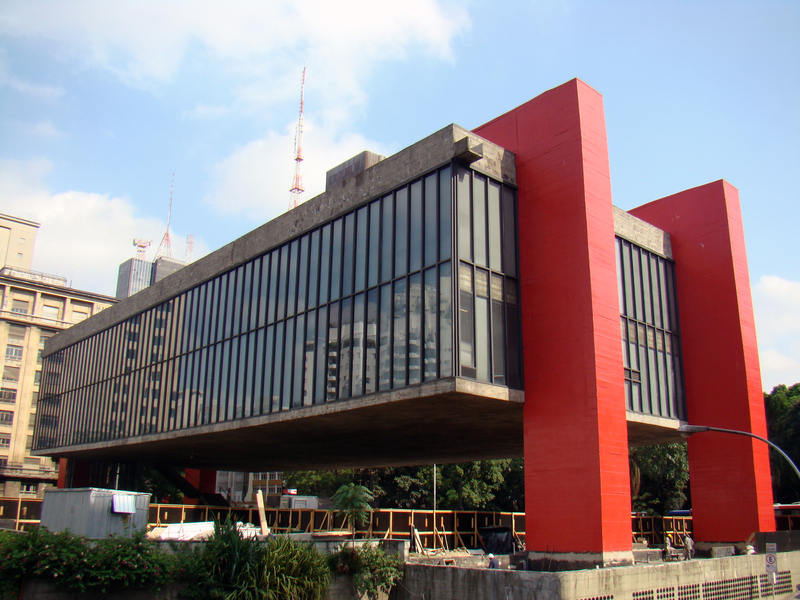 Housing an impressive collection of over 8,000 works, Museu de Arte de Sao Paulo Assis Chateaubriand - MASP ranks among the largest and most comprehensive museums of Western art in Latin America. The collection features European paintings, sculptures, drawings, engravings, and decorative arts. The French and Italian schools form the main body of the collection, followed by Spanish, Portuguese, Flemish, Dutch, English, and German masters. The museum also keeps a large collection of Brazilian, African, Asian, and North American art. The main body of the building, supported by two lateral beams standing over 74 m (243 ft) of freestanding space, is considered a landmark of the city and a major symbol of modern Brazilian architecture. Check the museum’s official website for a detailed list of upcoming exhibitions and other cultural events. Put Museu de Arte de Sao Paulo Assis Chateaubriand - MASP at the forefront of your travel plans using our Sao Paulo trip app . 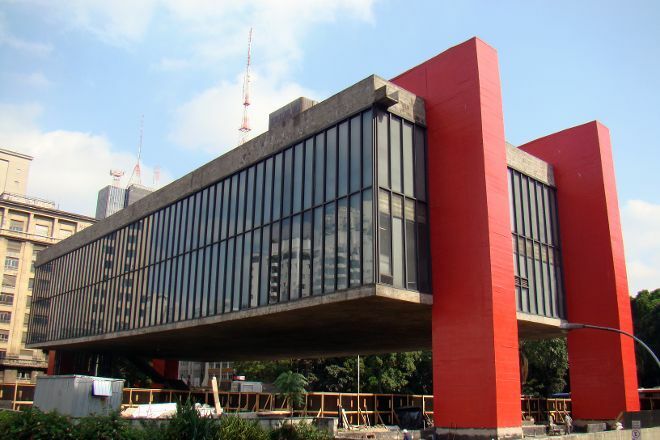 Talking about the masp-Museum of Art of São Paulo, is to speak of an icon of culture and art, located in the most Paulista of the avenues: Avenida Paulista. Whether with its fixed collection, which presents works of world representativeness, whether in the temporary exhibitions, or in its theater with performances of high level, and still, on Sundays sheltering in its free span an antiques fair, the masp is One of the greatest art references in the city, in the state and perhaps in the country. Vale, and much, the visit to masp. Something to be done without haste. The masp surprised me by the diversity and importance of his works. From Greco-Roman sculptures of more than 1,000 years to works of modernist masters such as Portinari; The museum has everything a little bit. But it's "all a little" that's enough for you to decide to return at another opportunity. Hint: The works of the permanent collection change periodically, so you may not see that painting you so admired, if you return the next week. It made me visit the masp three times in three separate weeks. Tip 2: The entry of the masp is free on Tuesdays. The café, located in the underground, is reasonable, but can give that stop and relax a little reading a book (it is next to the bookstore of the museum itself. That's it... Super recommend the masp. The painting exposition is very interesting. It's particular the way the paintings are displaied, the crystal easels. The crystal easels puts paintings atop of a concrete bases, visitors walk through a kind of forest of pictures. The only uncomfortable thing is that the description of the paint is on the back side. Good art museum. Has a unique way to display art (hung on glass slabs). Would recommend a 1 hour visit.